While Trabuco Canyon may be located in the heart of the gorgeous natural beauty of Orange County, there’s nowhere too remote for Coast Valley Moving & Storage, Inc. to go when helping you plan an ideal relocation experience! Since 1972, our Trabuco Canyon movers continually raised the bar for quality and professionalism in the industry, and we’ve helped thousands of residents execute seamless relocations over the last several decades. 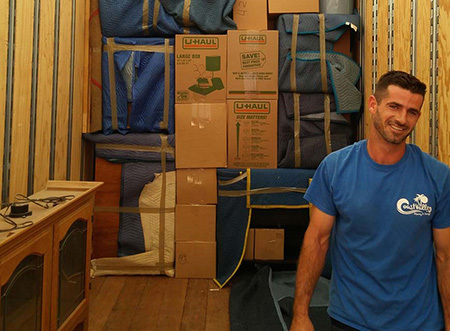 From local household moves to interstate relocations, there’s no better choice in Trabuco Canyon moving companies than Coast Valley Moving & Storage, Inc. Whether you need a full-service household move or you are looking for secure storage options to help ease the transition to your new home, our Trabuco Canyon movers have got you covered. As a reputable, professional Orange County moving company, we are dedicated to the “customer first” philosophy that sets us apart. We will walk you through each stage of the moving process to ensure that your experience with us exceeds your expectations for service and quality. As a trusted interstate agent for Wheaton Worldwide Moving, our Trabuco Canyon moving company is committed to professionalism within the industry. As one of the nation’s most prestigious transportation companies, Coast Valley Moving & Storage, Inc. is proud to uphold Wheaton’s tradition of exceptional customer service for your relocation. Local Movers: Our local Trabuco Canyon movers are the best in the business at providing personalized service for your local move. Interstate Movers: When it comes to relocating out of state, there is no job too big or small for our qualified team of interstate movers in Trabuco Canyon. Household Storage: Our flexible storage solutions in our Orange County moving and storage facility provide affordable, secure storage for your household belonging while you transition to your new home. As the premier choice for Trabuco Canyon moving companies, residents across the region have entrusted Coast Valley Moving & Storage, Inc. to handle all the details of their relocation needs. Learn more about why our Trabuco Canyon movers stand out from the crowd by giving us a call today. You can also fill out our online form to easily request your free, no-obligation moving estimate.